255 stocks have hit fresh 52-week low including Aban Offshore, ACC, Ambuja Cements, Andhra Bank, Bank of India, DEN Networks, Federal Bank, GIC Housing Finance, HCC, India Cements, Kwality, NBCC, NMDC, PC Jeweller, PTC India and REC among others. The Indian benchmark indices including the Sensex continues to trade on a positive note this Tuesday afternoon with the index trading 48 points at 36,372 while the Nifty is trading higher by 27 points at 10,964. 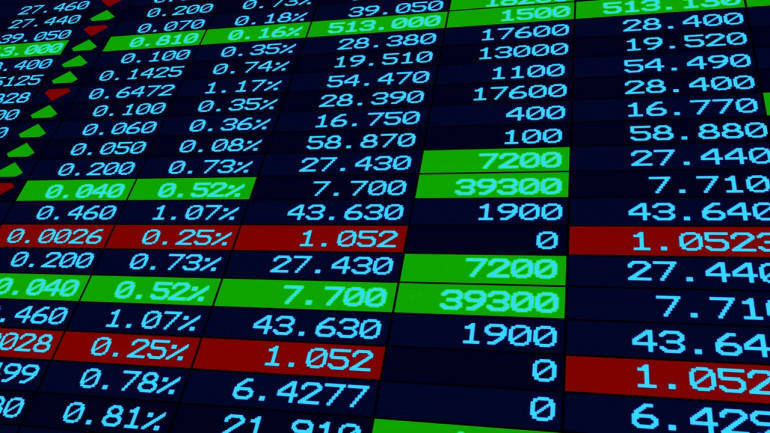 Midcaps are buzzing this Tuesday afternoon led by Bata India, Biocon, CG Power, GMR Infra, IFCI, India Cements, Jain Irrigation Systems, JP Associates, PFC, Reliance Capital, Reliance Infra, Tata Global Beverage and Voltas among others. The PSU bank index is up over 1 percent led by stocks like Union Bank of India, Syndicate Bank, Bank of Baroda, Punjab National Bank and Oriental Bank of Commerce by Canara Bank, Bank of India and Allahabad Bank among others. ICICI Bank, IDFC Bank, Yes Bank, RBL Bank and Axis Bank are some of the banks which are also up in the afternoon trade. With Brent prices falling 4 percent, oil & gas stocks are up with Reliance Industries adding half a percent while HPCL and Indian Oil Corporation are up 3-4 percent. Media stocks continue to buzz this afternoon led by TV18 Broadcast which jumped 5 percent followed by EROS International and DEN Networks. Hathway Cable is the other stock which is up over 9 percent. From the smallcap space, Hathway Cable and DCM Sriram are up 8 percent each while Ujaas Energy, Kitex Garments, IDFC and 3i Infotech are the other smallcap gainers. The top gainers among Nifty constituents are HPCL and Indian Oil Corporation which jumped 3-4 percent followed by Sun Pharma, Cipla and ICICI Bank. The most actively traded stocks on the NSE are Hindustan Unilever which shed 2 percent while Infosys, Reliance Industries, Tata Steel and Tata Consultancy Services are the other active stocks. The top losers included names like HUL, Bharti Airtel, IndusInd Bank, Eicher Motors and NTPC. The top losers are DB Corp which is down 7 percent while Future Consumer, Kwality, Vakrangee and Tata Steel is down 4-5 percent. On the other hand, 255 stocks have hit fresh 52-week low including Aban Offshore, ACC, Ambuja Cements, Andhra Bank, Bank of India, DEN Networks, Federal Bank, GIC Housing Finance, HCC, India Cements, Kwality, NBCC, NMDC, PC Jeweller, PTC India and REC among others. The breadth of the market favoured advances, with 876 stocks advancing, 793 declining and 391 remaining unchanged. On BSE, 1129 stocks advanced, 1093 declined and 124 remained unchanged.